Eight intrepid RS Aero sailors ventured inland to revel in the challenges of sailing on a narrow river at Bradford on Avon. The river is only about 20m wide, banked by open fields. 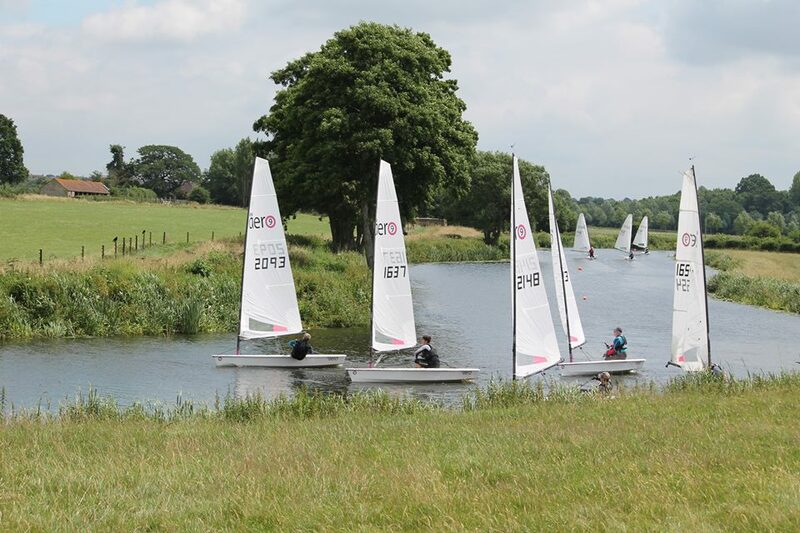 Perhaps rural Wiltshire’s best kept sailing secret! The day proved a fantastic opportunity to hone boat handling and versatility skills with the Class’ first World Championship looming later in the month. The morning was light, about following gusts and good roll tacks. The afternoon was blessed with fine sunshine and plenty of hiking excitement. A split start provided space on the line and the key decision was to identifying the fastest reaching angle off the line. Gareth led from the windward berths in the afternoon and Peter popped out from to leeward in the morning races. Mark L had a cracking start in race 3 when he fired it off the line like a bullet! Mark roundings were inevitably 180’ turns, without much room to be had on the outside! A warm breeze steadily pulsating down the river. Steering for a gust, best acceleration angle and catching the shifts all played a part on the pretty river. Bounded by reed beds most sailors found themselves stuck having ventured too far at some stage. Cathy became caught up first, Peter got stuck ducking Cathy when a gap never materialized. Then Cathy got stuck again whilst describing how she had got stuck! Avoiding floating vegetation became more of an issue after we had mashed it all up a bit! Mark L had a little swim after a gust on the run. Mark F had his windex snatched off him by a tree – fortunately there was one for him in the prize pot! Even with a modest turnout, the confined river provided an immense novelty value with so much more going on in short spaces of time! Cathy took the RS Aero 7 title and first Lady whilst Peter edged out Gareth and Greg in the RS Aero 9s. Many thanks to Bradford on Avon for being wonderful hosts and enabling a great day out. 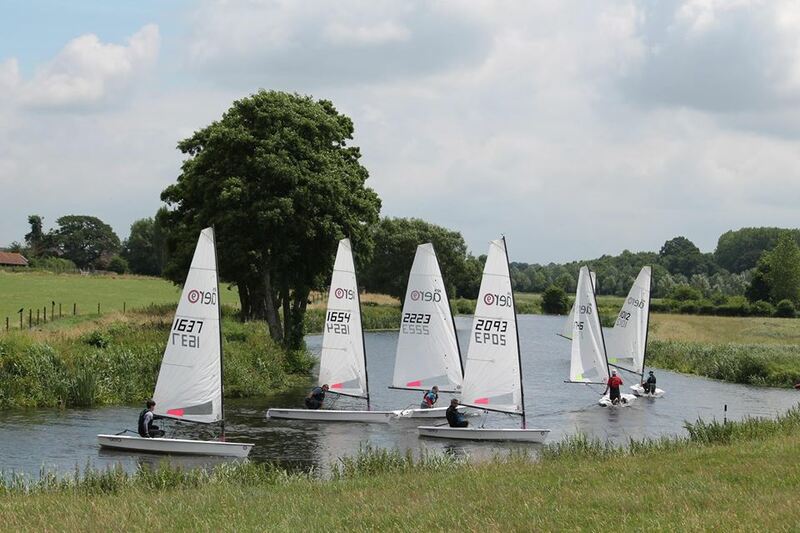 Next up in the UK is the Lymington Dinghy Regatta this weekend. 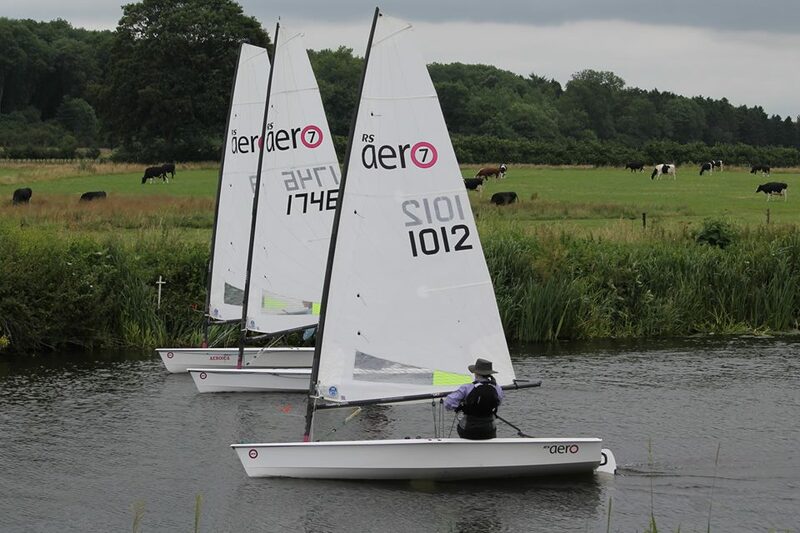 18 RS Aeros are already signed up making a great last minute training opportunity for the Class’ 1st World Championships at Carnac France at the end of the month. 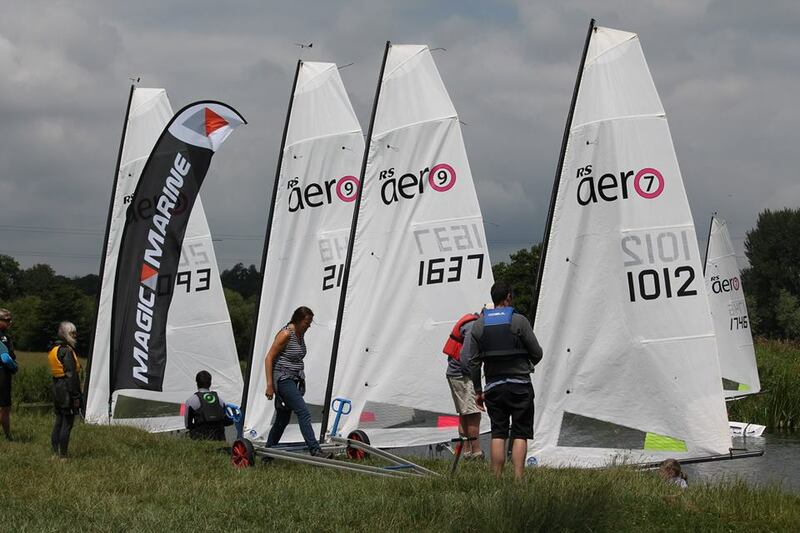 Charter RS Aeros are still available for the UK Nationals at Hayling at the end of the August if you fancy getting involved!